Many parents are squeezing potentially unhealthy amounts of toothpaste on their children’s brushes, health officials warned in a study released on Friday. The study, by the Centers for Disease Control and Prevention, said nearly 40 percent of children ages 3 to 6 used more toothpaste than recommended by dental professionals. For young children with emerging teeth, swallowing too much fluoride toothpaste can cause discoloration of their teeth, a condition called dental fluorosis. Parents of children in that age bracket should squeeze no more than a pea-size amount of toothpaste on their brush, the C.D.C. and American Dental Association recommend. The C.D.C.’s survey of nearly 1,700 children in that age range found that about 38 percent of them used more than the recommended amount of toothpaste, which has the potential to exceed the daily recommendation of fluoride intake. Exceedingly high concentrations of fluoride in drinking water can also contribute to dental fluorosis, the dental association says on its website. Children under 3 should be using even less toothpaste, according to the guidelines. For those children, parents should be squeezing only a tiny smear of fluoride toothpaste — roughly the size of a grain of rice. Young children are more susceptible to fluorosis and less capable of spitting out the toothpaste in the sink, making it more likely they will ingest it, the C.D.C. said. Fluorosis only affects children because the damage occurs when teeth are developing under the gums. It does not affect overall dental health, but it can lead to white lines or streaks on the teeth, the American Dental Association said. The study results were a “red flag” that the public does not fully understand the guidelines for toothpaste application, Dr. Jonathan Shenkin, an association spokesman and a pediatric dentist in Augusta, Me., said on Saturday. One problem, Dr. Shenkin said, is that parents tend to receive contradictory advice on how much toothpaste children should be using, as well as whether the youngest children should be using fluoride toothpaste at all. Parents get mixed messages from dentists, pediatricians and the internet, he said. For children under 2, C.D.C. guidelines diverge from two dental associations. In 2014, the dental association changed its guidelines and recommended that parents brush their children’s teeth twice a day with a tiny smear of fluoride toothpaste as soon as they erupt. The American Academy of Pediatric Dentistry recommends the same. However, the C.D.C. continues to recommend that parents wait to introduce fluoride toothpaste to children until they turn 2. Dr. Alene Marie D’Alesio, chief of pediatric dentistry at the Children’s Hospital of Pittsburgh, said that problems following brushing guidelines often arise from parents not being present alongside their children when they are brushing. 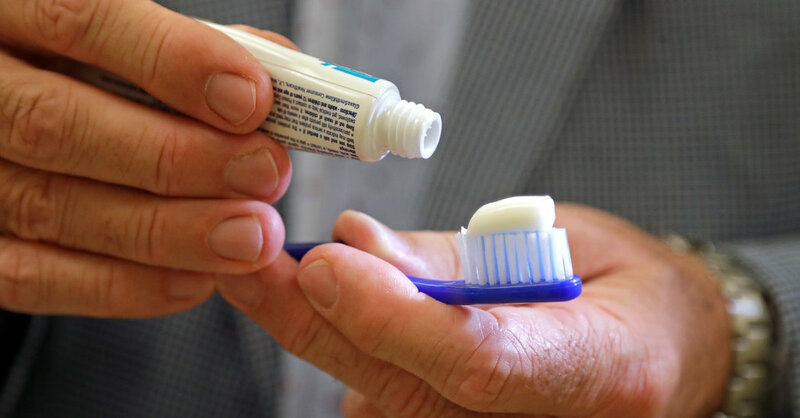 “What’s really happening is that parents are following the rules of brushing twice a day, but they might not always be there,” Dr. D’Alesio said. She advised that the earliest that parents should leave their child alone when they brush their teeth is 6, although they might consider sticking around until their child is 8. The C.D.C. study, which was based on more than 5,000 children from ages 3 to 15, also found that nearly 80 percent of children included in the analysis started brushing later than recommended. The analysis was based on data from 2013 to 2016. According to professional guidelines, parents should start brushing their children’s teeth when the first tooth erupts, which can be as early as six months. But just over 20 percent of parents or caregivers in the study reported that their child started brushing before age 1. This article was originally published by Nytimes.com. Read the original article here.